Perhaps there's someone out there, fresh from crawling out from under a rock, who has yet to hear of the Volkswagen Beetle. But we strongly doubt it. The Beetle is one of the most iconic cars in American history, and its original production run was impressive – from 1938 to 2003. It holds the record for most sales of a single car design (21.5 million), and you still see them everywhere. So it’s no surprise VW created the New Beetle in 1998, hoping to stir the hearts of hippies and yuppies alike and reinventing the little compact as a rounded, front-engine Beetle for the 2000s. It sold well, but an update was long overdue. The new styling is more approachable and acceptable for a wider audience now. A streamlined interior look and integrated information centers de-clutter the cabin. Variety in the lineup means that buyers will have a range of engine choices. Visibility, while not as big of an issue as in the last generation, is still a problem. The Beetle is a car with a strong history, and some will find that a turnoff. The 2.5-liter engine is a bit of a slug and handling could be improved. Legroom is still tight – it’s a compact after all. You pay a premium for the Beetle name. 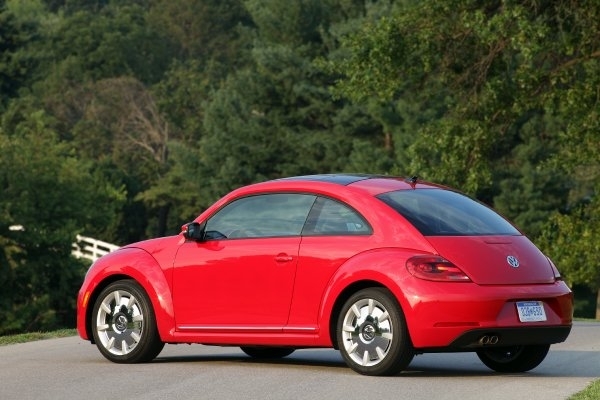 The Beetle delivers a competent and fairly innocuous drive experience led by its somewhat perky 2.5-liter inline-five. This throaty-sounding engine has just enough power to overtake confidently, but it verges on lackluster when acceleration is really needed. We’d recommend the Turbo if getting up to speed quickly is a priority. The six-speed transmission shifts through gears smoothly, and the thin, flat-bottomed steering wheel is easy to grip. Steering itself is direct. When coming to a stop, the brakes are initially grabby and then spongy when further depressed, generating vague brake feel overall. 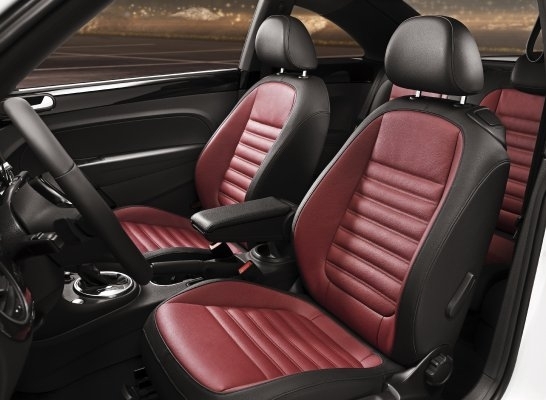 The highlight of the Beetle’s drive is the level of comfort within the cabin. Seats hug their occupants nicely and sounds are deadened well, especially wind noise. Around corners the Beetle stays level and docile. Slip it into Sport mode to hold the rpms higher for more on-demand power, or swap gears yourself in manual mode for a moderate amount of control. 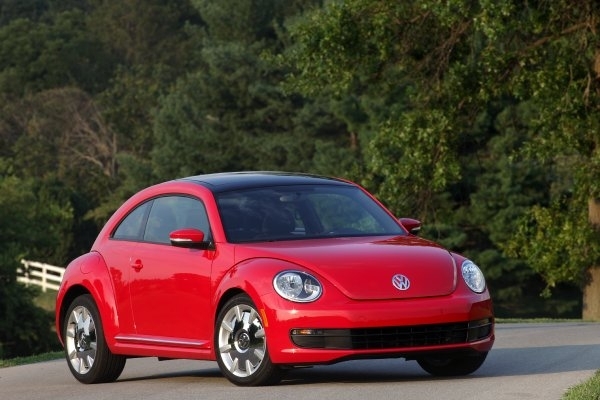 The front-wheel-drive Beetle has a 2.5-liter inline-five engine rated at 170 horsepower and 177 lb-ft of torque. 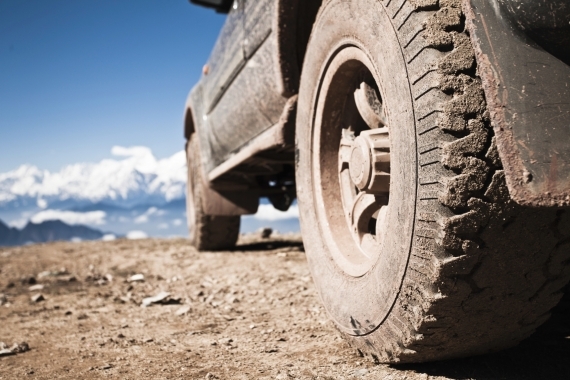 With it, you have the option of a five-speed manual or six-speed automatic transmission. The Beetle Turbo’s 2.0-liter turbocharged inline-four imparts a bigger kick with 200 horsepower and 207 lb-ft of torque, and the more powerful engine comes with either a six-speed manual or six-speed DSG. 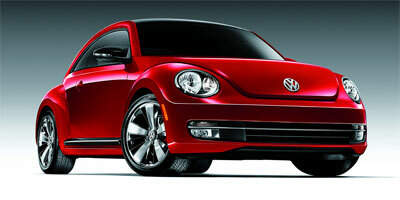 Volkswagen estimates that the Beetle will return 20 mpg city, 28 mpg highway with the manual and 20/29 with the auto. 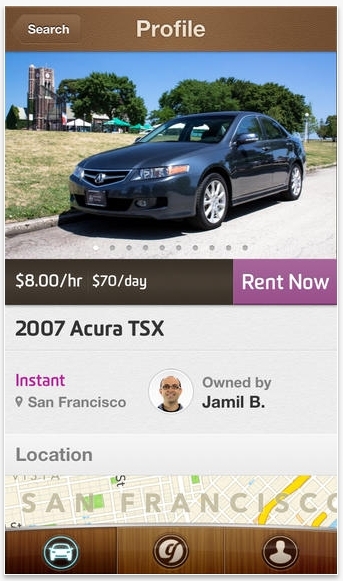 Those aren’t terrible numbers, but a car this size should do better. No numbers have been announced for the TDI version, but expect it to follow the Golf TDI’s lead at around 30/42. This is the model you’ll want to pick up if fuel economy is of concern. At a starting price five dollars shy of $19,000, the base Beetle carries with it the minimal amount of standard features like a trip computer, auxiliary input jack, and cruise control. Spend a little more and a host of options become available: a panoramic roof, push-button start, Bluetooth, and lumbar support, to name a few. 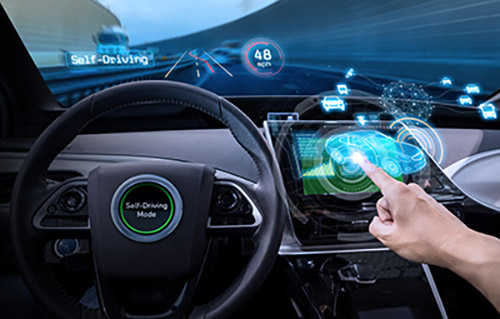 The real technology is found in the optional navigation system, which gives you plenty of control over the destination, route guidance, and other features while maintaining a simple, easy-to-use interface. The optional Fender audio system is also a treat for the ears. Standout features of the interior include a body color-matched dash and bright, clear gauges. The instrument panel is uncluttered and modern, a large leap from the previous generation. A kaeferfach, what the Germans like to call an upper glove box, is on hand for more storage (not, though, on the base model) – a good thing considering there’s limited center console storage. The leatherette seats are comfortable, though snug in the rear despite the newly added room. This Beetle is lower (by a half-inch) and wider (by three inches) and gives off less of a happy-go-lucky vibe compared to the previous iteration. Gone are the extraneously rounded edges and in their place is a flatter roof, steeper windshield, and even more clearly defined wheel arches. We think this is an exterior that will appeal to a wider audience, but it’s also one to which fans will respond positively. Its small size (think shorter than a Honda Civic but longer than a Mini Cooper) and starting price of $18,995 put the Beetle in an odd position market-wise. Like the Mini Cooper and Fiat 500, this is a car that will draw people to it because of its name and memory-evoking past. Expect to pay a couple thousand more for creature comforts (and some basics, like an automatic transmission). The Turbo comes in around $23,395. It’s a redesign of a redesign, and that should make the 2012 Beetle nearly unrecognizable. Luckily though, the design changes have corralled some of the more overtly ‘90s styling cues and created a Beetle that looks like a modern reincarnation of the original. The 2012 version suffers from lackluster acceleration and ironically, given the Beetle’s reputation for economy, pricing might be too high for some. But that’s all irrelevant to those who want to own a new piece of history.